Prosper Lincoln began in 2016 as a community response to the Vital Signs data report. 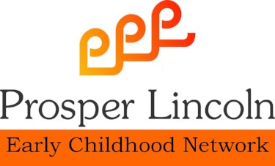 The Prosper Lincoln Community agenda seeks to build, strengthen and impact systems in early childhood to increase capacity, support and enhance quality and sustain the work. We are working to change the culture of Lincoln so that every child is nurtured on the path to success. Cultural change is slow work that requires a long-term view and commitment. The Lincoln community is on-board, engaged and energized! After a little more than two years, we have concrete results to share on three core objectives that include creating cross-sector advocacy, increasing community awareness of the importance of early childhood and increasing resources to enrich early childhood development at home, in care settings and in the community. Here is a selected list of how we are working to make Lincoln a better place to live and work for young children and their families. - To increase high quality placements in early education, people who have official refugee status in Lincoln will soon learn to establish child care businesses thanks to a collaboration with Midland Latino Community Development Corporation and a grant from the Office of Refugee Resettlement. - Businesses are exploring ways to support early childhood for their employees and the community. One local business is looking to establish on-site child care for employees and the community that may serve as a model to replicate. As a result of cross-sector community support, Dimensions recently held a ribbon cutting for its second early care and education center at 77th and A Streets. 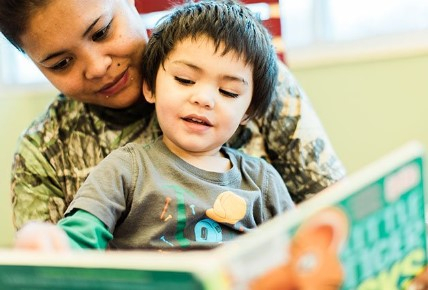 - The Read Aloud Lincoln initiative, a partnership with the Lincoln City Libraries and four museums, encourages parents and caregivers to read aloud to children through events, collaborations and getting books into the hands of families with young children. - Parent engagement is supported through the development of a pilot neighborhood approach that builds on the assets of the families who live there. These connections between families and schools help children arrive at school kindergarten-ready. - The Lincoln Early Childhood Network is comprised of four work groups that meet regularly in a collective impact approach to create awareness, advocacy and capacity in early care and education. The LECN Support for Parents work group is planning an Early Childhood Family Fair for February 17 from 2:30 to 4:30 p.m. at Gateway Mall. To get engaged in the Prosper Lincoln Early Childhood community initiative or for more information, please contact Michelle Suarez .